Mumbais Empire Suite is located amid busy streets and close to convenient stores, cafe, restaurants, and interesting sights. The hotel has a sophisticated overall decor and a warm ambience. 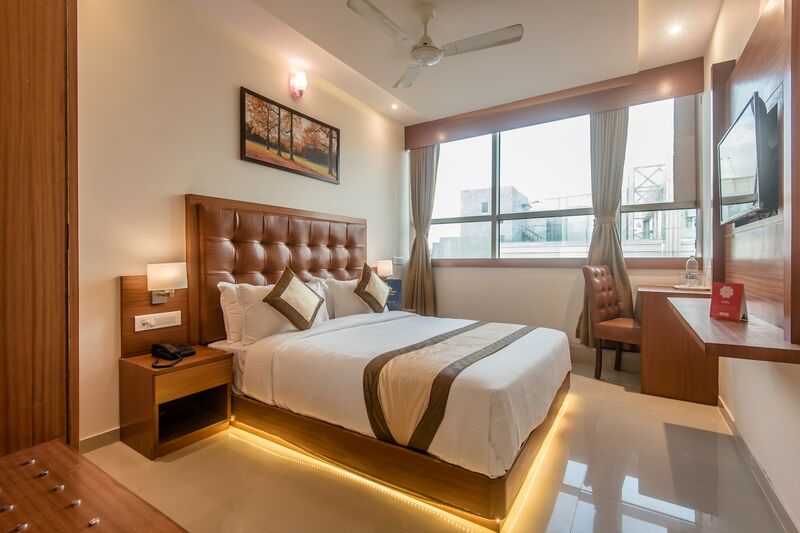 The bedrooms at the hotel have light colored walls, light brown woof furnishings and soft overhead lights, giving the rooms a warm and comfortable ambience. The rooms also have large windows that let sunlight stream in freely while the guests can enjoy the view of the infinite sky. The hotel is a short drive away from some of the main attractions in the vicinity including Mahakali Caves. The amenities provided by the hotel are free Wi-Fi, a geyser, an elevator, laundry facility and a card payment option.